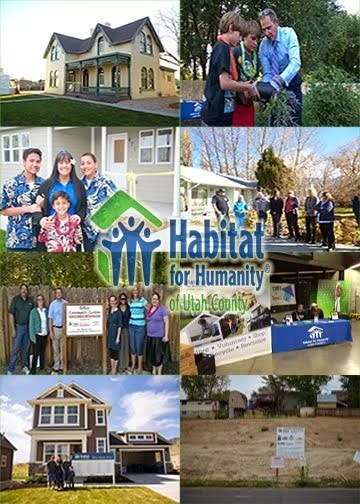 The Habitat for Humanity of Utah County’s ReStore Home Improvement Outlets in Orem and Spanish Fork celebrated their seventh and first birthdays respectively with a huge Earth Day sale this past weekend. Both stores sell new and used building materials, appliances, and furniture at a discount to the public to help raise money to further the local Habitat’s affordable housing mission. The Orem store, located at 340 South Orem Blvd. in Orem, was the first ReStore in Utah and was opened in 2007. Since its inception, the Orem ReStore has not only raised thousands of dollars for the affiliate, but is now paying most of the operation costs for the affiliate and the store. The ReStore has also kept millions of pounds of waste out of local landfills. Due to the Orem store’s success, the Spanish Fork store, located at 253 West Arrowhead Trail in Spanish Fork, was opened a year ago in April 2013 and continues to grow and be a profitable asset for the affiliate.